Metal fabrication has been known to make a human’s life much simpler. Be it in the commercial/industrial sector or private sector, metal has been seen extensively everywhere in the development process. A Triangle is one of the geometrical shapes that is commonly used. Let’s see how this can be done. 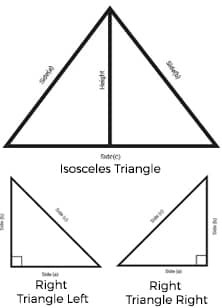 The isosceles triangle is a triangle that has two sides that are of equal length and as a result will have at least two equal angles. You only have to provide two measurements to define a isosceles triangle as the rest will be mathematically solved and calculated. How to configure your custom fabricated metal isosceles triangle online? you already have fulfilled 3 out of the 4 easy steps to configure your sheet metal isosceles triangle. In the 4 step you choose the isosceles triangle to be configured. 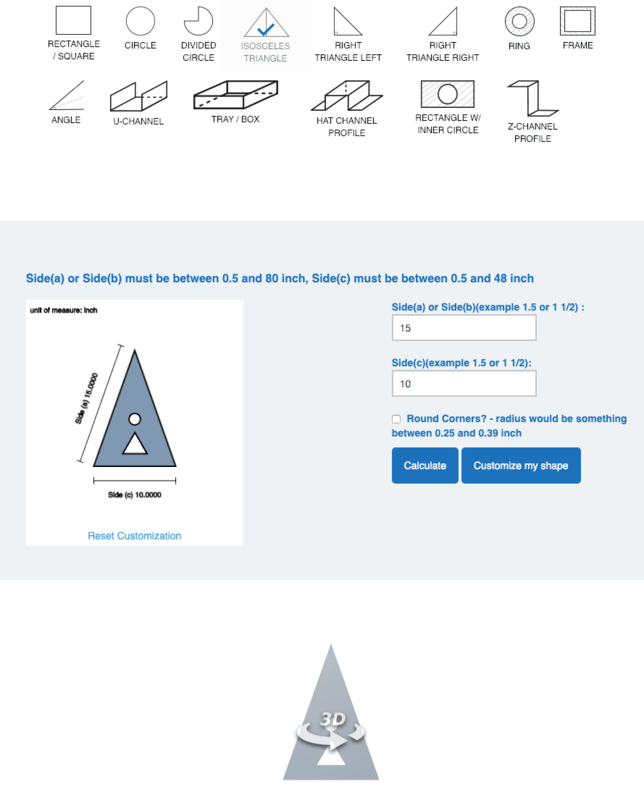 The sheet metal calculator will give you a price for your custom cut metal isosceles triangle including the options you have chosen. Why Choose MetalsCut4U For Your Triangle Fabrication? We are a leading triangle metal fabricator. You can choose from aluminum, stainless steel or steel sheet metal for your individual and custom cut triangle. To configure ametal triangle you need to make a few decisions. It starts with the metal type and the surface you want the triangle to be fabricated. Choose between mill finish, brushed or mirror finish or even a tread/ diamond plate finish. Next is the thickness you need to choose from. Once you have entered the required sizes, we will take care of the rest. We will program the shape in our CAD software and then have it cut with our laser cutter, which will result in a high precision cut metal piece.